I am checking myself in to the mental hospital!!! ...Just kidding. 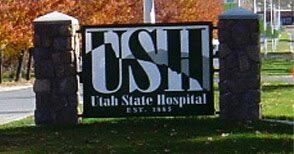 I am officially a volunteer for the Utah State Hospital (used to be named an insane asylum) which is a mental hospital that has adult services, pediatric (children and adolescent), and forensic services. In the forensic units, they are patients who are criminals, so it is very jail-like, and they are not mentally competent to stand in court. They go there to become mentally competent. Shayla and I went to a volunteer orientation and are going to be volunteering Tuesday nights for activities with the children and adult patients AND working in the adolescent girls wards (ages 13-18) which is available everyday... and I may do more like in the adult units. So if you want to volunteer you should let me know! Basically it'll be just doing activities with the patients and other therapeutic recreation type things- games, sports, art, etc...And you can volunteer any day. You even get a cool badge. Very interesting but the lady teaching the orientation said that about 85% of the patients are schizophrenic. WOW. Never been around a schizophrenic but I am sure interested in seeing how these patients act. And she said that a lot of the patients will be in the hospital until they die. 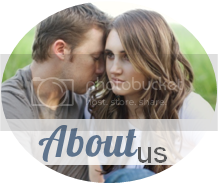 Some get well enough to go live back at home and acclimate to the community but a lot can't. The volunteers can't give their names (only first name) or give presents or gifts to the patients. The lady said the patients can be very manipulative and sometimes will say inappropriate things to see how you react. They sometimes like to run away which is kind of a game for the patients- they never get real far because there are woods around them and they don't have much money...but if they do run away we don't have to chase after them but tell an employee who will send out the Utah State Hospital police people and contact the Provo police as well. SO...I think it will be VERY interesting!!!! And I'm pumped. Just have to get a tuberculosis test to make sure I don't have it and then I am basically good to go! A lot of people think that mental hospitals are weird and crazy but I think they are interesting too. Like how are they like that?